Have you ever found yourself driving here on the right side of the road, which is actually the wrong side in Japan? In Okinawa, as in the rest of the country, drivers must keep to the left. Please note that there are numerous elderly drivers on Okinawa and that farmers can appear suddenly on the road when driving in rural areas. In addition, there are no four-way-stop signs in Okinawa; the car on the main road has the right of way at intersections without stoplights. When driving a car, you always run the risk of breaking traffic rules, which carry numerous fines and penalties in Okinawa. For example, the use of cell phones results in a penalty of 6,000 yen or even higher if the vehicle is involved in an accident and any injuries or damage are caused. Exceeding the speed limit on ordinary roads (non-toll roads) by more than 30km/h incurs a penalty of 25,000 yen. Always drive safely and cautiously because getting a traffic ticket can cost you a lot of time and ruin your Okinawan vacation. 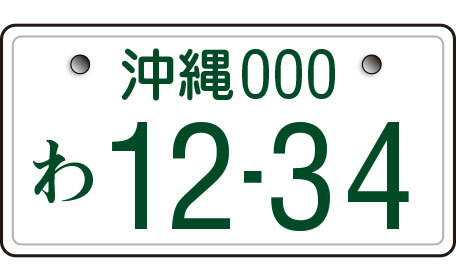 In addition, if your car is towed due to illegal parking, you will be required to pay a fee of about 30,000 yen, including the penalty and towing cost, to local police to retrieve it. Although the traffic congestion in Naha City has eased since the introduction of the monorail system, please bear in mind that traffic conditions can affect your travel itinerary, especially during the morning and evening rush hours. Also be aware that bus lane restrictions are in effect on the main highway in and around Naha during these peak hours. - Drive slowly and carefully in rainy weather because Okinawan roads, made with materials that contain coral sand, become extremely slippery when wet. - On ordinary roads around the island the maximum speed limit is 60km/h unless otherwise posted. - The use of seat belts and child restraints is compulsory for all passengers. Parking is prohibited on numerous streets and is indicated by a sign. Illegal parking offenses carry penalties of 18,000 yen and up besides a deduction of 3 points on your driving record. Especially in Naha City, which is densely populated with a lot of traffic, illegal parking is strictly controlled; you are strongly encouraged to park your vehicle in a proper parking lot even for a short period of time. Most parking lots in Chatan Town, in the central part of Okinawa, are free; however, car parks in other parts of the island are not. Elsewhere, you’ll find paid parking lots or metered parking on the street. The average parking fee is approximately 200-350 yen per hour. Be sure to keep the ticket you receive at the lot because it shows how many hours you were parked, and you’ll need it when you pay upon leaving. Parking on the street costs an average of 200 yen per hour. There is a time limit designated on each parking meter beyond which you cannot park, no matter if coins are added, so take note of the time limit before you leave your car. You can use only 100 yen coins to park on the street, so come prepared. The Japanese yen is the currency used in Okinawa. In recent years a growing number of currency exchange centers have opened in central Okinawa, particularly in Chatan and Okinawa City, where major U.S. bases are located. Many shops and restaurants in central Okinawa near U.S. bases accept U.S. dollars, though paying in U.S. dollars is not recommended as the rate offered is usually very unfavorable. Please keep in mind that most commercial establishments, retailers, souvenir shops, restaurants and bars in other parts of Okinawa do not accept American currency. Credit card payments are becoming more popular in Okinawa; however, cash in yen is still the only option for payment at local markets and small groceries, especially in rural areas. In addition, credit cards are not widely accepted at sightseeing facilities; thus, you are strongly recommended to carry yen at all times during your stay on the island. Cash in yen is the only method of payment accepted for public transportation services, including the monorail and local buses, and taxis. Only taxis authorized on U.S. bases will accept U.S. dollar cash payment. The majority of sightseeing facilities in Okinawa take yen only. *Multi-currency exchange ATMs are located at some of the major tourist attractions. All convenience stores accept yen and major credit cards. U.S. dollars are also accepted at convenience stores in the central part of Okinawa. 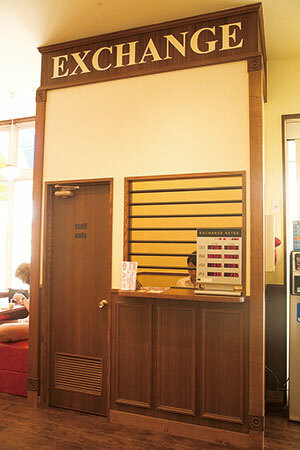 Local banks are usually open from 9:00 until 15:00 or 16:00. Hours may vary depending on bank and location. Currency exchange services are offered by the large/central post offices only. Operating hours of post offices vary by location, and generally the exchange service is available between 8:00 or 9:00 and 15:00 or 16:00 Monday through Friday. In addition, all post offices regardless of size are equipped with an ATM that allows you to withdraw Japanese yen using credit cards issued overseas. Hours of operation vary by location. The exchange booth located at Aeon Chatan is open until 22:00 daily, while most other establishments close at 18:00 or 19:00. *At the Hamagawa branch, exchange services are available in New Zealand dollars, Malaysian ringgit and Indonesian rupiah in addition to the 12 types of currencies listed above. *From U.S. dollars, new Taiwan dollars, Chinese yuan to yen only. *Open only from April through October.